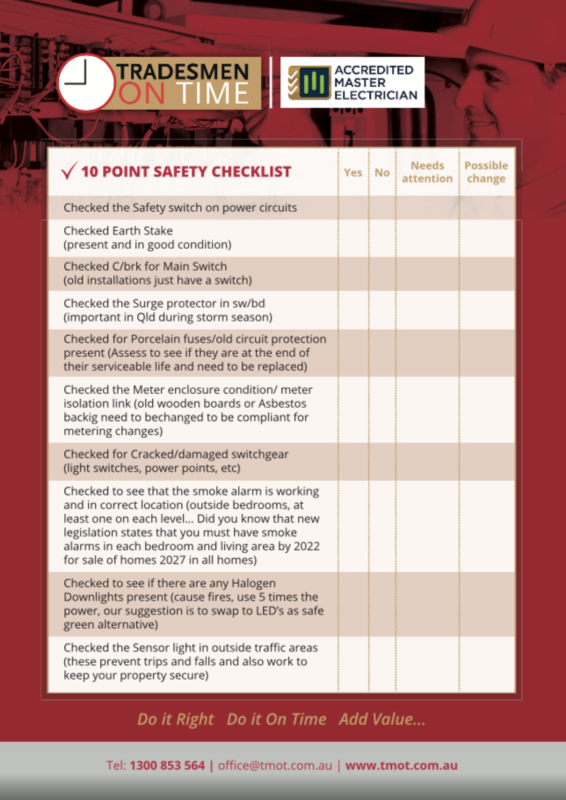 At Tradesmen On Time we think it is pretty important to regularly check how electrically safe your property is. Did you know that we offer all new customers a FREE 10 Point Safety Check? We have seen all sorts of electrical safety problems at properties over the years, most of which can be avoided. The next time you need electrical works done on your property make the safest choice and choose Tradesmen On Time.